We recently received an email from a fellow who had just lost his job as a journeyman iron worker due to the economy. He wondered if training to be a log builder would be a wise choice. Here are his questions answered by Walter Bramsleven. 1) How does some one get into the industry? A firm would have to hire you first and then become indentured into the apprenticeship program in BC. 2) Do the training programs that are available really make a huge difference in someone’s chances for employment? To some degree, but log building varies from yard to yard. Basic carpentry skills and good math skills are good things to have to get into this field. 3) Are there schools that you would recommend and / or not? There are some schools out there, but we are not sure if they are familiar with the log builders program recently completed by the Government of BC, which would be the preferred curriculum. The Residential Construction Industry Training Organization of British Columbia (RCITO) promotes, develops, coordinates and manages the delivery of effective and efficient industry training and trades qualifications in the BC residential construction industry by responding to the skills and training needs of employers and workers. It is a consortium of industry groups including the Log and Timber Building Industry Association. 4) Do you feel that you're industry is in danger regarding finding new contracts and keeping your current employees busy? 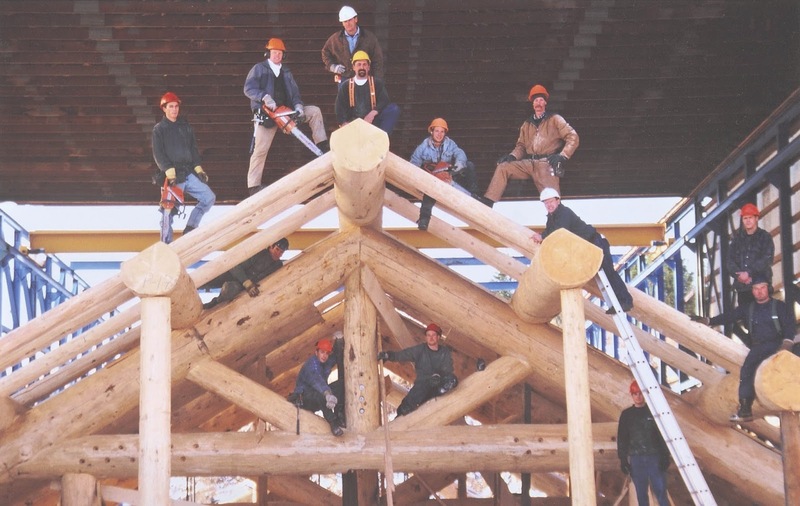 The log home industry has been affected by not only the recession in the US and Canada, but also the dollar exchange as we previously were the beneficiaries of a weak Canadian dollar as compared to the US. Now the exchange rate is almost at par and this trend will continue for the foreseeable future. This will affect all exporting industries in Canada. Therefore we would not anticipate sales levels experienced previous to the last 2 years. However, due to many firms in the US shutting down, the Canadian market share in the US has increased significantly and when the economy recovers to some degree in the next 2 years, the industry will once again be vibrant, but not to the levels seen from 2003 to 2007. 5) Have you hired any new personnel in the last year? What was their average experience? We have not hired any new personnel in the last 2 years. 6) What do you think the probability of having to hire anyone in the next 6-8 months looks like? Good, Not sure, or none. Not sure, but perhaps one or two positions may open due to attrition via retirement from the industry or change of occupations. 7) What specific attributes would be most needed to be successful in this trade? See response 2 and also add that one must be in good physical condition. Most builders enter into the industry at a young age, usually early 20s. Once into their late 30s or early 40s, bodily wear and tear becomes a factor and they either move up into a management or supervisory position or pursue another career. Running a chainsaw all day cutting notches and lateral grooves is very physically demanding. And to get into this field, one must work in this area for several years before progressing with enough knowledge to work on post and beam log work or accent work, which is less physically demanding, but requires exceptional mathematical skills as well as scribing and fitting skills. Is it a good field to be in - Do you love what you do? We love what we do and believe it to be a good field to be in. Like most other industries right now, times are tough and we must get through this next year or two to get through the economic turmoil. Once signs of recovery begin to surface, it will be a good field to be in. This is a great post. Very informative and helpful. Thank you for sharing this. I am into Log Homes business also.